Today’s announcement by Kaiser Permanente that (1) disparities in survival with HIV are a thing of the past in a coordinated, caring health system and (2) the tools and best practices can be implemented anywhere changes a lot of things. The dawn of the AIDS epidemic predates my medical career. When I was in college, my biology graduate teaching assistant said to our class one day, “AIDS could wipe out the human race,” and he was right. It could have. In medical school, I experienced a medical profession that was in shock, unable and in many cases, unwilling to care for people with AIDS. In my experience in training, there were few disparities – everyone received equally discriminatory care. When papers were published that used terms like “unexplained differences” in outcomes, I could explain the differences easily. I saw with my own eyes how people were treated. For me, there were, “I can’t believe I’m seeing this, won’t anyone help?” moments. At the same time, I learned, there was an emerging culture of empowered patients with AIDS, and the physicians/clinicians who took care of them. What I was told by one of these physicians was that they were shunned by their medical colleagues because they shared data and explored options with their patients. These are the physicians that I am descended from. The medical profession learned a lot about treating HIV and AIDS, and then the pattern that we see with so much health care emerged – disparities based on race, ethnicity, sexual minority status. I always thought these would be the hardest to smash, because they depended less on science and more on attitudes. The physicians/nurses/clinicians/patients and their descendants who continued to stay up to date and create models of care that work for everyone are the ones that have ushered in a new era. 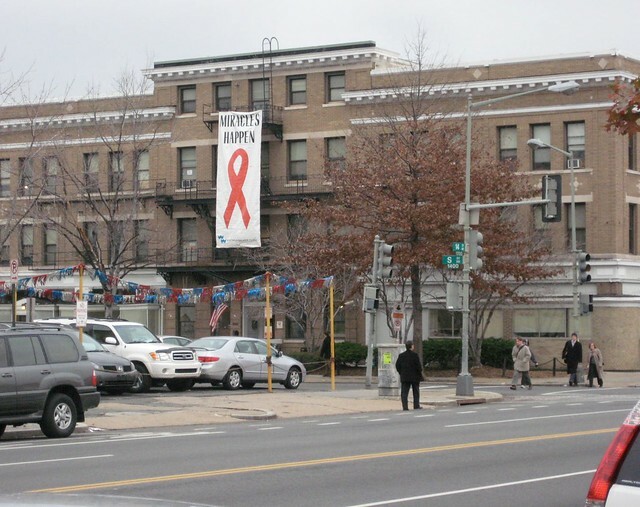 I think of this photo that I took in 2007 in Dupont Circle, Washington, DC – the sign that says “Miracles can Happen” – we can wipe away the inhumanity that formerly predisposed us to being mediocre care providers for certain people and excellent ones for others. Here are two videos that accompany today’s announcement. Enjoy. (Note, these may not embed properly until the announcement, you can access them at YouTube.com directly here and here.